It is official, the Cooper's hawks are trying to start a family. 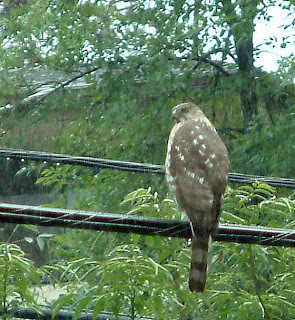 For three hours on Sunday, an immature Cooper's hawk sat on the power line above our bird feeders in the rain. The bird did not seek shelter and looked a bit soggy with a drop of water dripping every few minutes from its beak. Last year a pair of Cooper's hawks successfully nested in a large jacaranda tree about a block away. This year an immature individual began hanging around about a month ago and was occasionally seen with a mature bird. 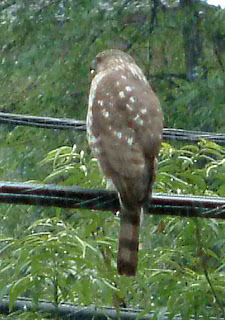 The immature Cooper's hawk pictured here does not yet have the distinctive gray cap and back of an adult. 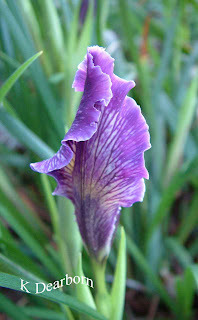 It is still more brown in coloration around the head and shoulders. 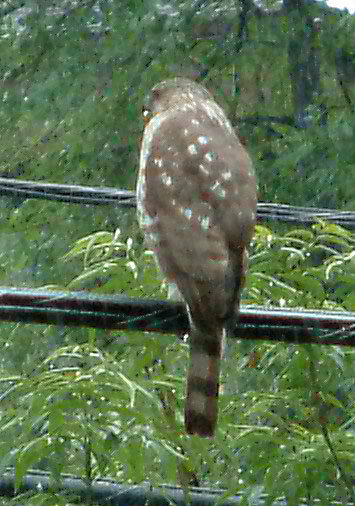 Notice the banded tail typical of Cooper's and sharp-shinned hawks. These fast maneuvering hawks are bird predators and their appearance in the yard has disgruntled the band-tailed pigeons. I wasn't quite sure of the relationship between the two Cooper's hawks, but yesterday it all became clear. 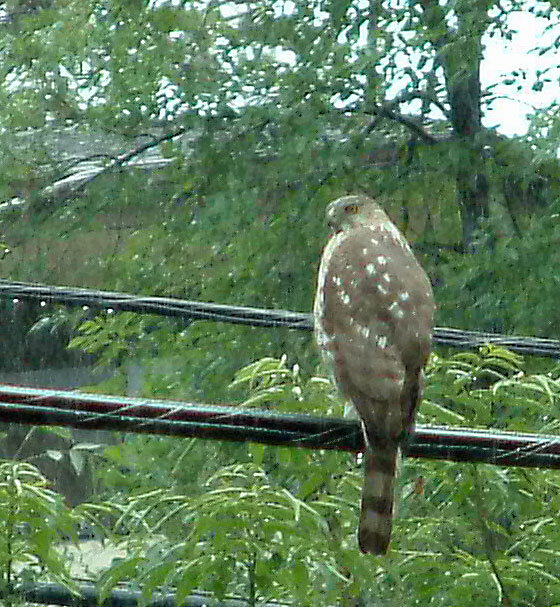 The immature or young hawk is a female and the adult is a male. He brought her a mourning dove yesterday to seal their relationship and prove his ability as a provider. She accepted the dove and his sexual advances. Occasionally, I see one or the other of them fly past the window with a stick or pine bough. They are building a nest, but I haven't spotted the location yet. If you are noticing nesting birds in your area, take a minute and consider documenting the nesting attempt on Cornell University's NestWatch website. Scientists can't be in everyone's backyard, but you can play an important roll for scientists; be their eyes, ears and observers. The Bewick's wrens were back working on their nest in the lariat house yesterday. 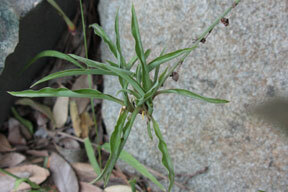 And I'm still searching for a hummingbird nest; there have been starts and stops due to the rainy weather. Follow the daily progress of your nesting birds. You'll be surprised by their daily dramas and joys. Document it all with just a few minutes every 4 days and you'll play an important roll for science. Warblers are small birds with narrow pointed beaks that feed primarily on insects. 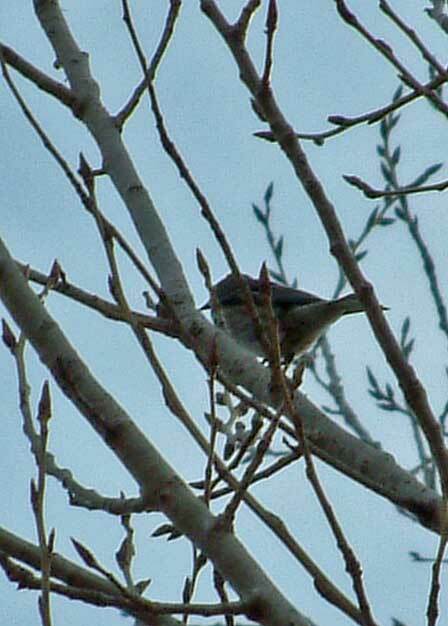 They flit through the trees and frequently sing "warbling" songs. The yellow-rumped warbler is the most common warbler found in the Los Angeles area during the winter months. 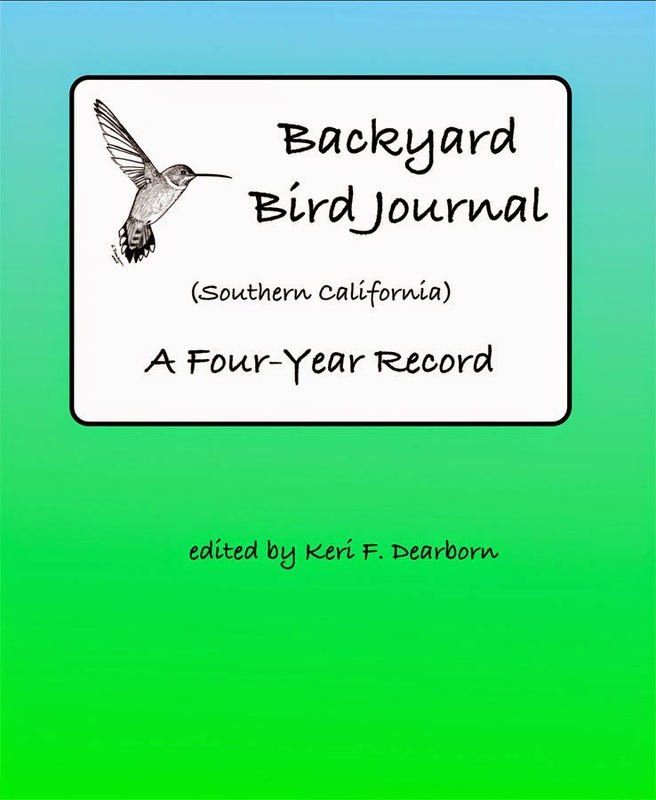 However this year, we had an orange-crowned warbler that was hanging out in January and in February I spotted a Townsend's warbler during Great Backyard Bird Count at the LA Zoo and a black-throated gray warbler at Serrania Park. Various warbler species will be migrating through our area in the next two months–yellow warblers, Wilson's warblers, Townsend's warblers and more. A few years ago we had a Wilson's warbler that rested at our house after flying through a wildfire area on its southward migration. 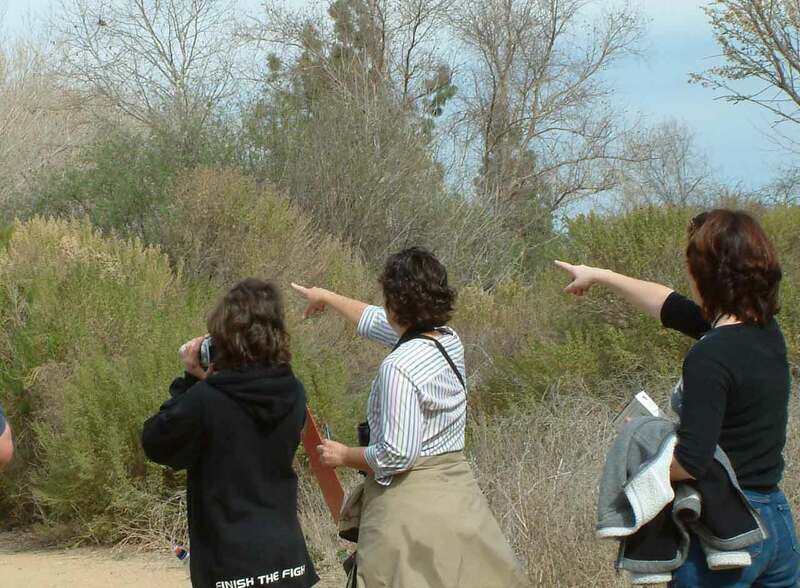 Areas with native plants that attract insects are prime spots to see warblers: Malibu Lagoon State Park and Sepulveda Basin Wildlife Refuge are two of my favorites. To see a wonderful video on identifying warblers, check out the Warbler Video from Cornell University's Dept. of Ornithology. While warbler diversity is far greater on the east coast, this video gives great general information on looking for warblers. And because we don't have as many species of warblers here in the west, you won't be overwhelmed with identifying them. There is something beguiling about wine corks. Some are beautiful bits of art, some are stained with the kiss of a favorite red wine and some are molded plastic trying to save plant resources (but in doing so become less earth-friendly after their short life as a cork is over). What to do with them? 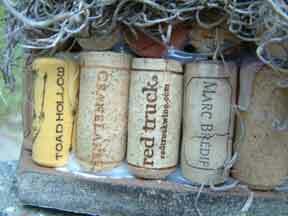 Wine corks beg to be recycled. I have a cork board in my office that I made of wine corks over 20 years ago and it is still hardy and looking new, despite 20 years of being a pin cushion. I have made them into trivets. They work wonderfully as a buffer between hot dishes and the tabletop. And here again they seem to last forever. 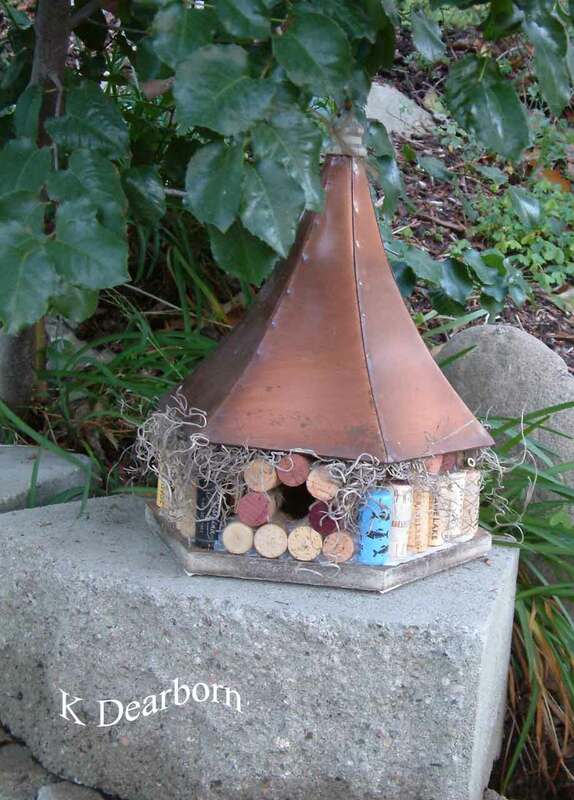 I had a wooden bird feeder with a copper roof. The wooden structure was compromised when it fell in a wind storm. I set about repairing it only to find that the wood was badly deteriorated. But the copper roof was still charming and useful. Hot glue gun in-hand, I set about constructing a bird house on the old bird-feeder base. I built up an entrance with wine corks on their side. 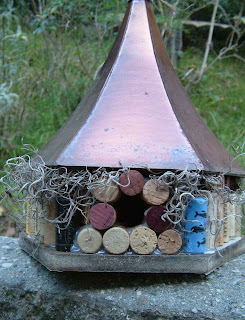 The depth of the wine corks makes it impossible for scrub-jays or crows to reach the small chicks inside; a sales plus for any house-hunting wren. For the walls I stood the corks on end. 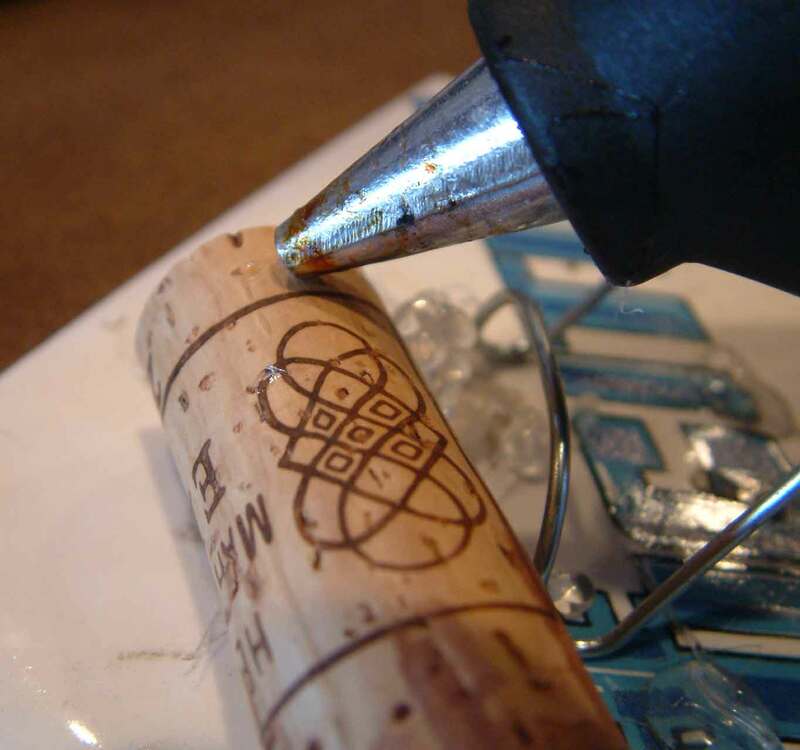 The corner corks are the plastic kind which allowed me to firmly attach them with a screw up from the bottom. There is an inner row of corks as well, making the structure quite cozy. The copper roof had three attachment locations. 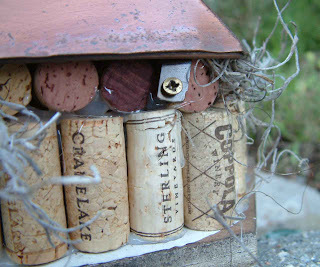 A row of corks were laid on their sides to create firm attachment sites. And to finish it off, I tucked moss in to the gaps and chinks. The Bewick’s wrens have been building a nest off and on in the lariat house hanging in a tree. This new wine-cork bird house will give them another option. Wine corks as bird houses? We’ll see. It is better than tossing them into a landfill. Spring must be here, I found the first hummingbird nest of the year! Unfortunately, it is between 50 - 60 ft. high up in a Grevillea robusta (an Australian species commonly called a “silk oak,” despite the fact that it is not an oak at all). That means pictures of eggs and babies will be impossible. The female Allen’s hummingbird is still actively building the nest. She is stitching together a masterpiece of plant fibers and moss wrapped in stretchy spider web. 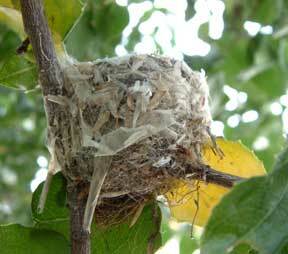 Typically, it is during this construction phase that I find it easiest to locate a hummingbird nest. The activity of the female in one vicinity offers the best opportunity to locate the walnut-sized structure with its ingenious camouflaging. The Bewick’s wrens have also been busy testing out nest locations. There has been some activity at the lariat house, but no definite decision to nest there yet. Even the Cooper’s hawks were gathering sticks yesterday. Since nesting is in full swing it is time to put out some quality nesting material. 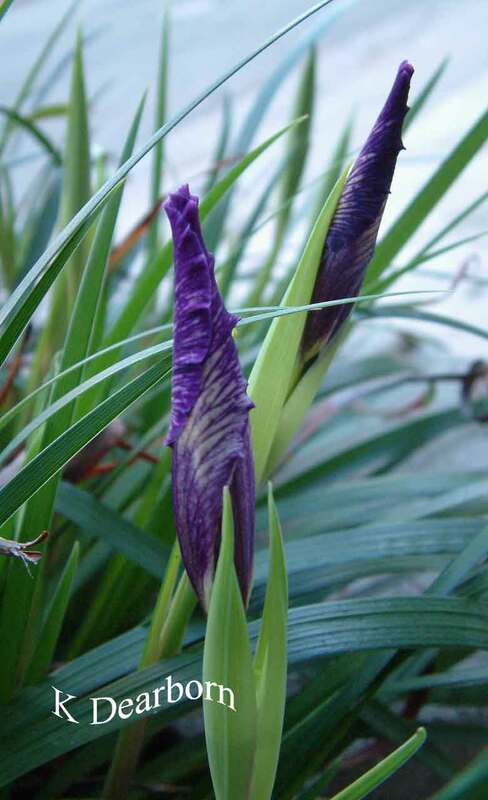 Natural fibers can be difficult for birds to find in the city. 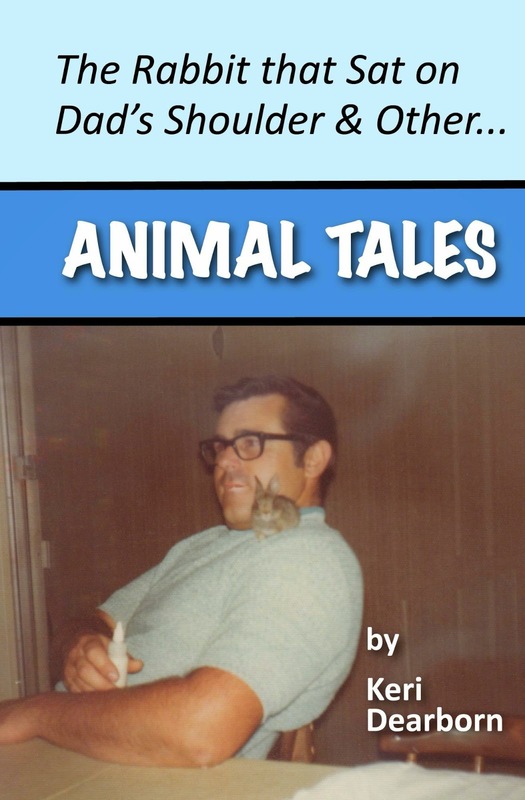 I try to make some readily available with hopes the birds will use the raw cotton, wool fiber or dog hair rather than man-made fibers that can cause catastrophe. 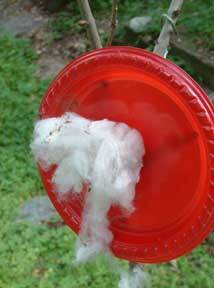 I watched two female hummingbirds fail in their nesting attempts in 2010 because of polyester fiber in their nests. Putting out natural fibers can be as easy as this, a handful of raw cotton fibers wired to a plate and attached to a tree. In this case the red attracts the hummingbirds. They quickly discover that there is no food, but there are wonderful building fibers that are naturally soft, water repellent, pliable, nontoxic and biodegradable. And this isn’t just for hummingbirds. I’ve seen bushtits and goldfinches pulling off fibers as well. You don’t have to go out and buy anything. Comb your dog or cat and stick the cast-off fur in a bush. You may not see the builders taking supplies, but I can tell you, the Bewick’s wrens always line their nest with the black hairs from our dog. Nesting birds need quality resources. Make them available and the building will happen in your yard. What does the face of drought look like? 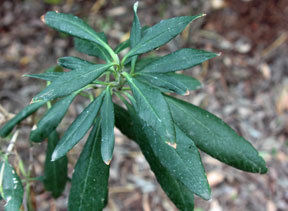 Plants that typically should be robust and green in March displaying leaves curled from water stress. 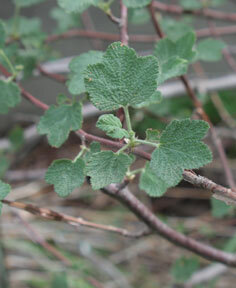 Natives like the currant which should be blooming, this year are producing only leaves. There are ramifications for later in the year. A lack of blooms means no summer fruit. Birds and small mammals will find less to eat in August and September. Are we really looking into the eyes of a long dry summer? I keep track of the rainfall in my yard. There is a reason why the California slender salamanders aren’t out and about and why the bush anemone is looking stressed. We have had very little rain this season. From October to April is our rainy season. In 2010, our first measurable rain arrived on October 6th and by the end of February we had received 12.58 inches of rain. This year our rainy season began on October 5th, but as of today, March 5, 2012, we have received only 5.375 inches. 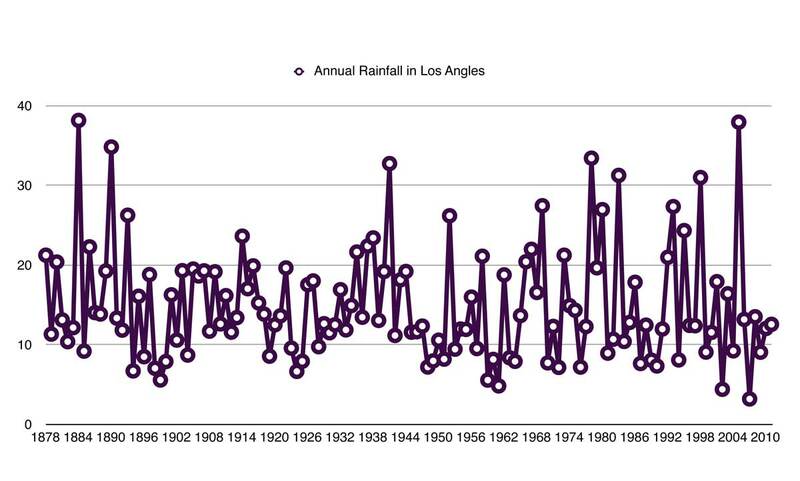 The average annual rainfall in Los Angeles since 1878 is 14.98 inches. Typically, weather forecasters measure our rainfall against a rounded-up 15 inches. 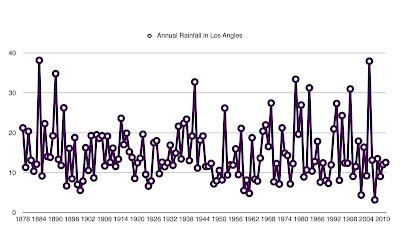 If you look at the graph of annual recorded rainfall, patterns are tricky to spot. There are years of less than 5 inches spiked with years of 20 or 30 inches. But if you delve a bit deeper into the numbers you see that the mean amount of rainfall since 1878 is 13.19 inches (a few years of heavy rainfall actually push the average up). Over the last 50 years the mean amount of rainfall has dropped to 12.48 inches. The two lowest years are 2002 (4.42 inches) and 2007 (3.21 inches). If rain doesn’t arrive soon, we will probably arrive in June with a total of less than 8 inches of rain, drought levels. This impacts every living thing in Southern California, from frogs and fish, to agriculture and humans. The hillsides and their wild residents can’t ask for more water from a river far away. They have to survive on what falls from the sky. 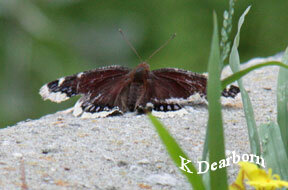 The mourning cloak butterfly has awoken from its winter hibernation ready to find a mate and breed. But it is tattered by a long year of wandering and the flower blooms that it needs to survive are few and far between.